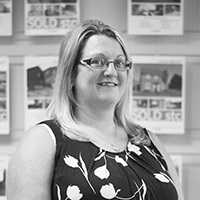 Sally joined the business in 2006 as a Sales Negotiator and was later promoted to Sales Manager in 2013. She is responsible for seeing sales through to completion. Outside of work, Sally enjoys taking time out to read, swim and go on walks.